When installing your above ground pool, you need to make sure that you use the correct type of swimming pool sand for the bottom of the pool and a different type of sand for your sand pool filter. The sand that lies underneath your pool is called “mason sand”, while the sand for your filter is simply called “filter sand” or “silica sand”. Mason sand, sometimes called mortar sand, can normally be found at any sand/gravel yard or masonry supply yard. It is usually measured in yards. It is very fine and should not contain any rocks or pebbles. This will create a very smooth bottom and is the most popular method to use when installing an above ground pool. 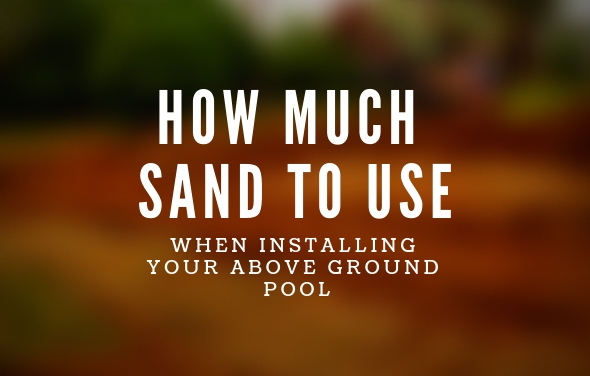 You can call The Pool Factory to find out the correct amount of mason sand you will need for the size of the above ground pool you have in your backyard. The following chart displays how much swimming pool sand would be needed based off of your above ground pools dimensions. 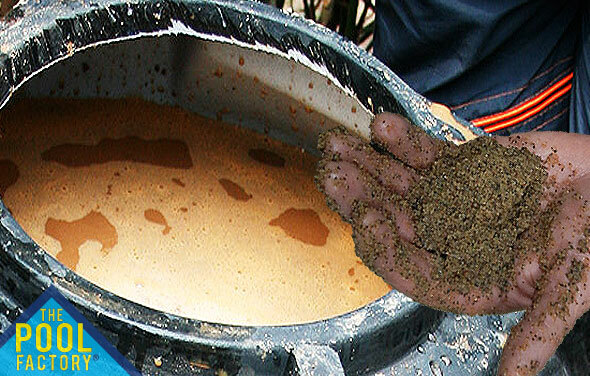 Filter sand, or silica sand, is specially graded to trap very small particles. This is the type of sand your filter needs in order to properly clean your above ground pool. It is usually sold in 50lb bags and can be found in any pool store. One should always consult with their pool filters owner’s manual for exact sand requirements. 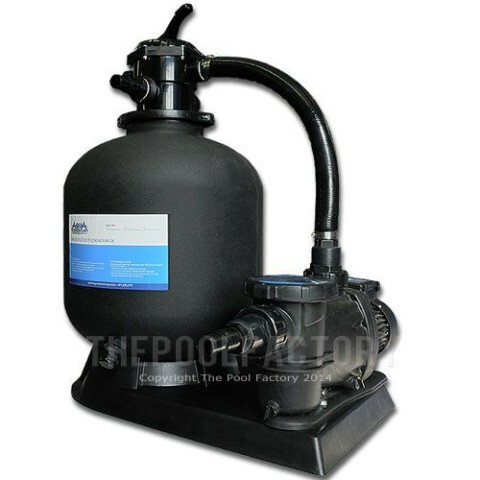 The following table contains common sand filter systems available at The Pool Factory and the recommended amount of (silica) sand that should be purchased with the sand filter system. Q. Is it okay to put my pool on a concrete slab? 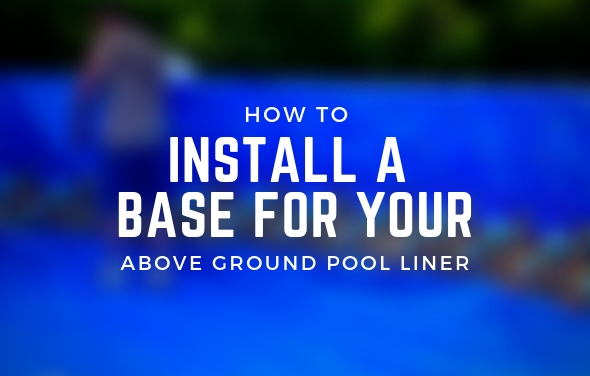 A: It is definitely possible to install an above ground pool on a concrete slab. Typically, professional installers use the sandbox method to do this type of installation. This means that they will build a box using wood planks and fill it with mason sand. The pool is then built inside the sandbox, using the sand to make sure the pool is completely level. Also, oval shaped above ground pools have support beams that run underneath the pool that need to be buried. These will be buried in the sand inside the sandbox. You can see pictures of this type of installation in our photo gallery. Q. Instead of using sand for a pool base can I use dirt? A: We do not recommend using dirt as the base for your pool. Dirt may contain rocks or pebbles that can damage your liner. We only recommend very fine mason sand for your swimming pool sand. Q. Do you need to compact the sand? A: You need to pack down the cove you built using a tamp tool. Be careful not to scratch the pool wall when doing this. Smooth out the rest of the swimming pool sand base using a rake. Be sure to wet the sand prior to tamping it. This will help the sand pack better. Then tamp the entire bottom of your pool. 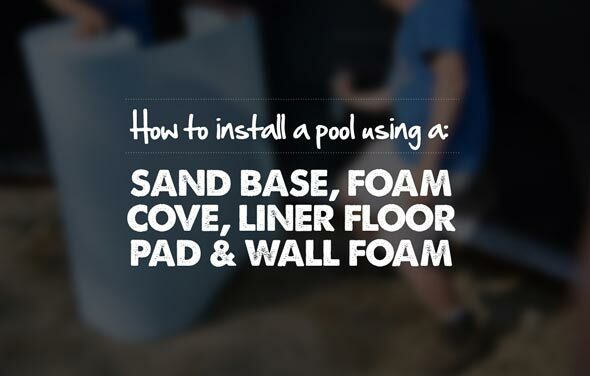 Doing this will reduce foot prints in the sand and provide a firm and even bottom for your pool. Hi,Can I use 2A modified for the base instead of sand? Installing a 27′ round with pool cove. How many yards of sand do I need for the base as I will not be adding the sand up the sides. 3 Yards of fine mason sand will give you the required 3-4″ sand bottom for a 27′ round above ground pool when using foam cove. 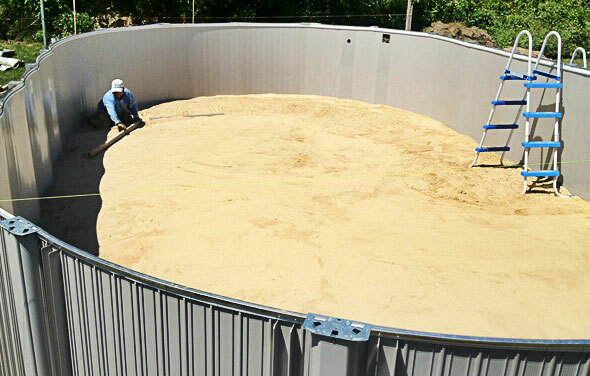 For an 18×33 above ground pool, 4.5 yards (6 tons) of fine mason sand is required. This would be the amount need if you are installing a sand bottom and sand cove. If you are using Foam Pool Cove for your installation you would need less sand, 3.5 yards (4.5 tons).